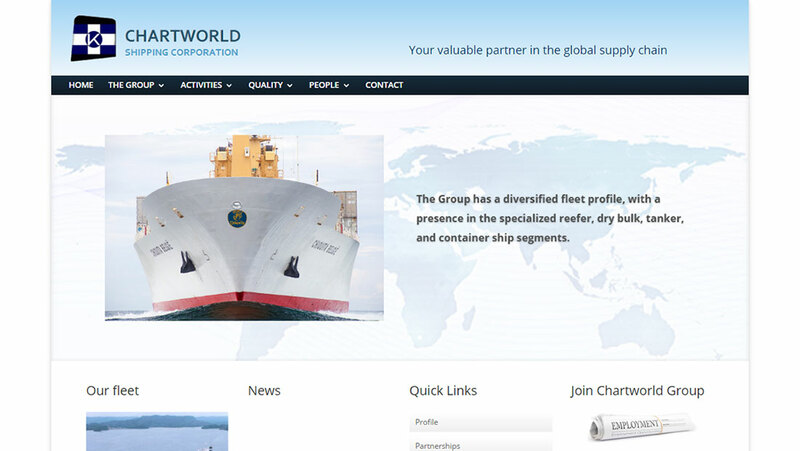 chartworld.gr, the new corporate website of Chartworld S.A.
We published the new corporate website for shipping company Chartworld Shipping Corporation (chartworld.gr). Utilizing the capabilities of WordPress and in conjunction with the analysis, design and programming services offered by iBS, we achieved in short time the development of chartworld.gr. There was excellent performance yield of the available budget including the implementation of all new characteristics that were requested by the customer.